Mrs. Helms donates a $150 annual scholarship to the Berry Schools. 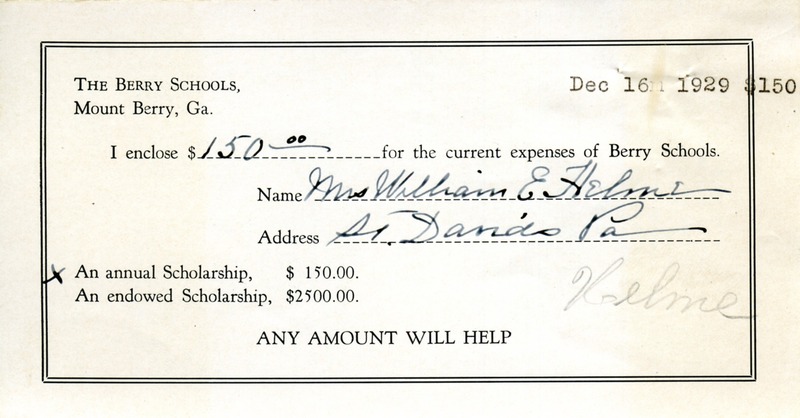 Mrs. William E. Helms, “Donation to the Berry Schools from Mrs. William E. Helms.” Martha Berry Digital Archive. Eds. Schlitz, Stephanie A., Cassie LaJeunesse, et al. 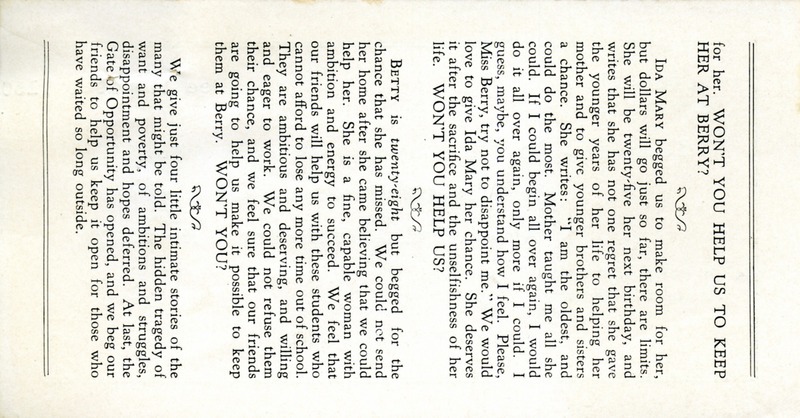 Mount Berry: Berry College, 2012. accessed April 25, 2019, https://mbda.berry.edu/items/show/10254.